I learned many things from my product development past but here are the top 3 things I learned regarding early prototype samples. What are your tips? 1. Make early prototypes as strong as possible. People you know or don’t know will not treat your samples with the same gentle respect that you will. Early prototype samples are a great way to win over investors. Early on it does not matter if your product samples are not 100% representative of what the finished product will be. The early goal is to secure funding by projecting confidence. 2. Make extra samples. Samples break and fail for many reasons (see above). So continuing on a similar theme to my first point, don’t get caught without back up samples for investor and buyer meetings. If your prototype sample breaks in a meeting and you have back up you can quickly pivot and adjust to the situation unfolding in front of you. If you only have 1 broken sample for your meeting then securing funding or an order will be exponentially harder if not impossible. 3. Try a diversity of samples early. Meaning get out of your own bubble. You have a surface finish in mind, others may want to see a different surface finish or colour. Anticipate other peoples opinions and expectations by showing a diverse range of samples. You don’t have to show all the samples at once but having them ready as plan B will help keep interest in your product if the meeting is not going the way you planned. Have diverse solutions ready and impress. 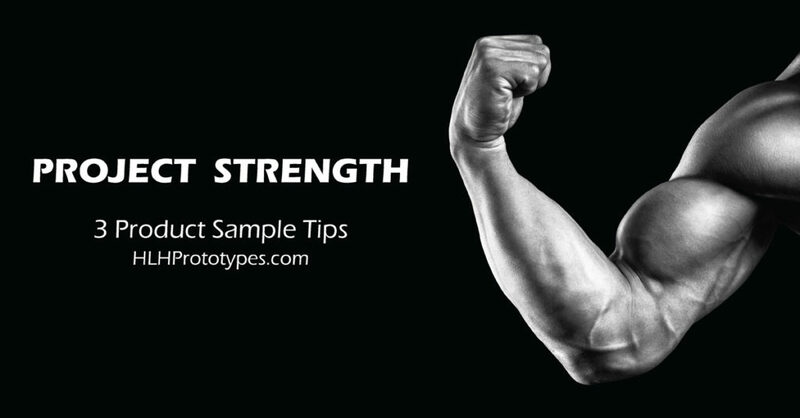 You don’t have to break the bank early with too many prototype samples but employing some of the tips above will help to project strength and go a long way to winning investors/orders.